From the 'Edit Application Pages' screen, select the page that contains the GPS link you wish to edit. 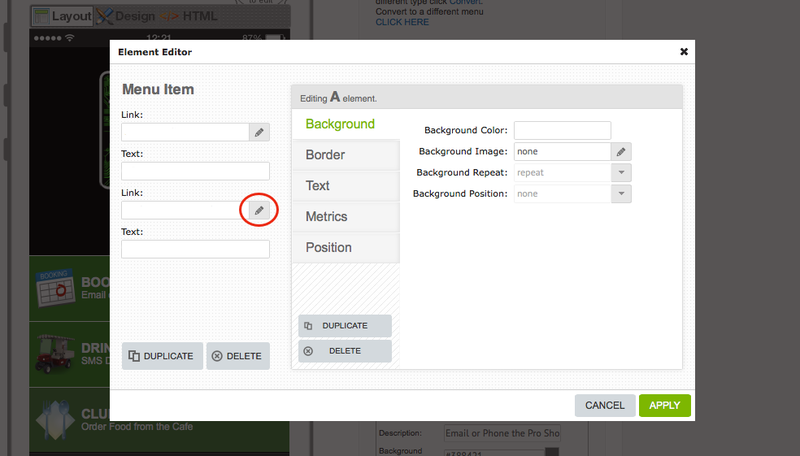 Click 'Edit' as shown above. Hover your cursor over the 'Element' on the 'handset display' that contains the GPS link. The 'Element' will then be highlighted (and 'Click to Edit A' will appear at the top left of the image). 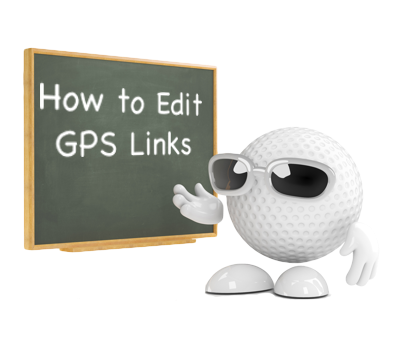 Important: When using 'Element Editor 2' to edit a GPS link, after completing the following step, the process needs to be repeated by returning to the 'Element Editor' window and clicking on the lower 'pencil' symbol (2) shown above. 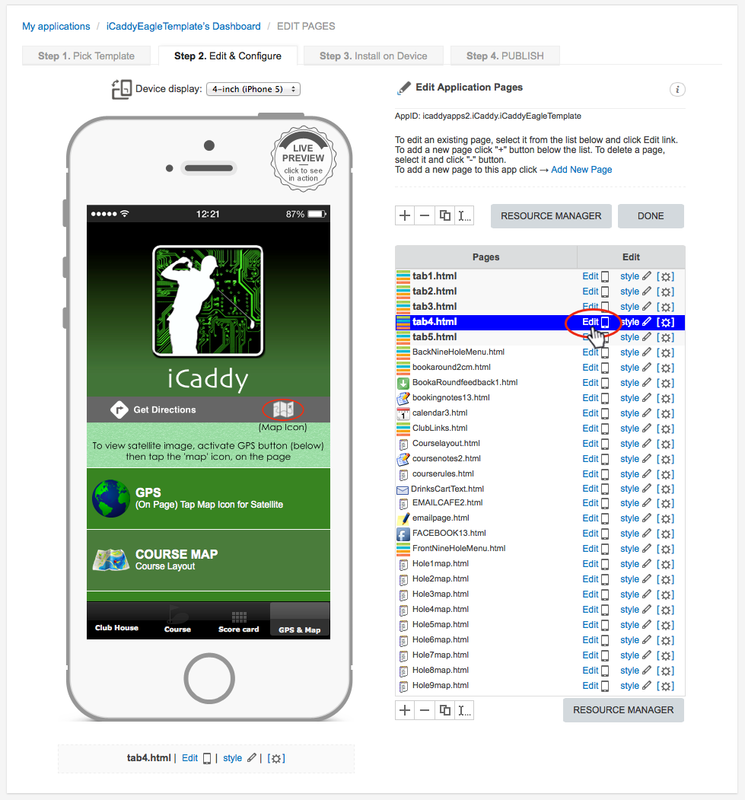 Select 'map' from the 'Action List' (make sure the 'tick' is indicated next to 'map'). Enter the desired address in the 'Address' field. Enter the address for your club as it appears on Google Maps. After entering the desired address, click 'SAVE'. 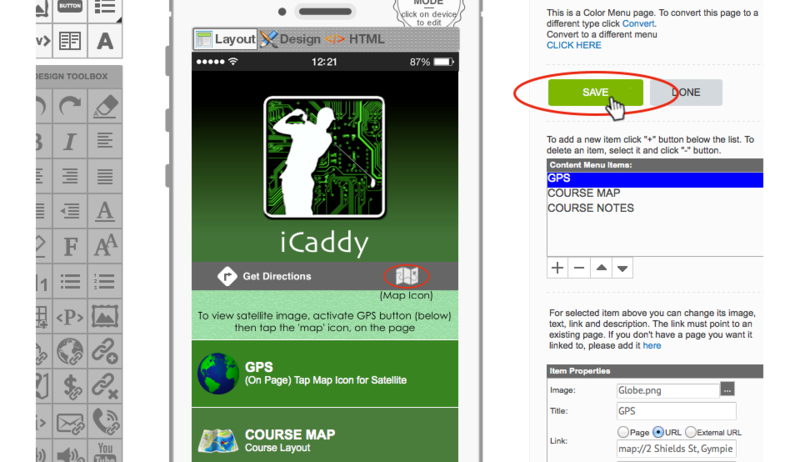 Note: The You can check your GPS link using the iCaddy Apps Previewer on your target device (e.g. iPhone or Android). 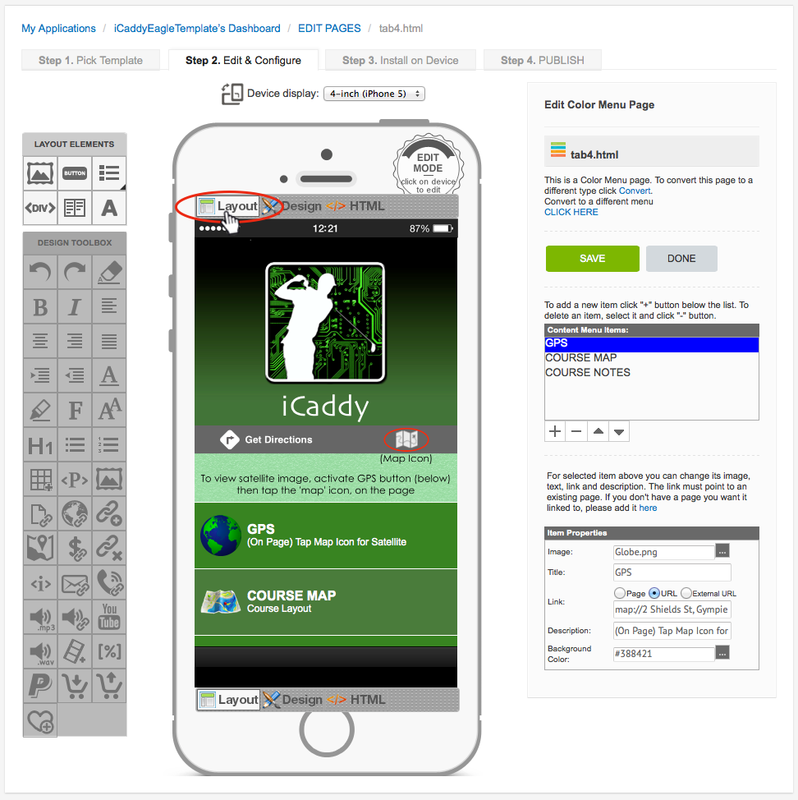 Refer to How to Download the iCaddy Apps Previewer and How to View Your App on the iCaddy Apps Previewer, for further information on how to download and use the iCaddy Previewer App.